Nineties kids who’ve always wanted to visit Jurassic Park to meet Jeff Goldblum—and dinosaurs—are in for a treat: A team of paleontologists from the University of Queensland in Brisbane is claiming to have found the largest-ever dinosaur footprint in a region dubbed “Australia’s Jurassic Park.” While there hasn’t been a Jeff Goldblum sighting (yet), the researchers have identified 21 different types of dinosaur tracks within a 15.5-mile region of the Dampier Peninsula coastline, including a gigantic one measuring 5-feet-9-inches (1.75 meters) in length. 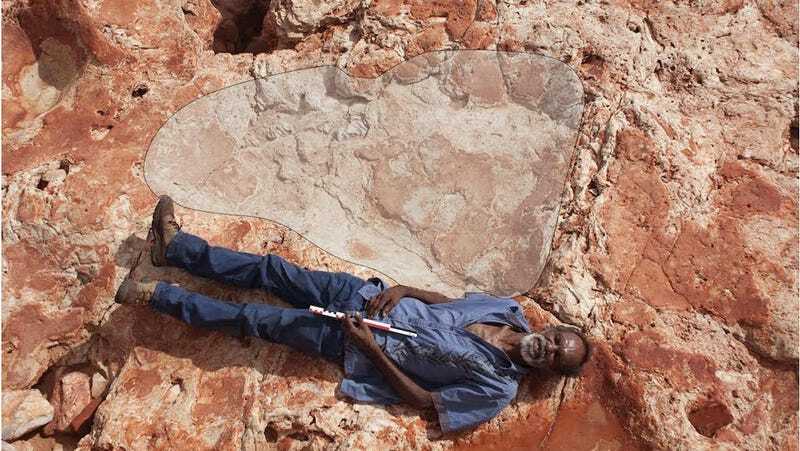 According to the study’s lead author, Steve Salisbury, the huge footprint is probably from some kind of sauropod dinosaur. 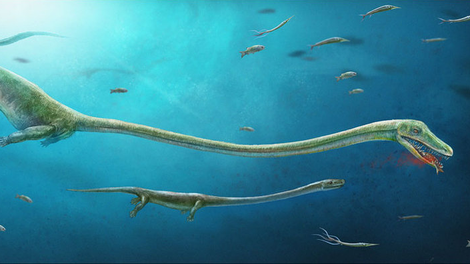 Fossils of the these long-necked, large plant-eaters have been found on every continent except Antarctica, so they’re not terribly uncommon. Clearly, the footprint is remarkable because of its size. 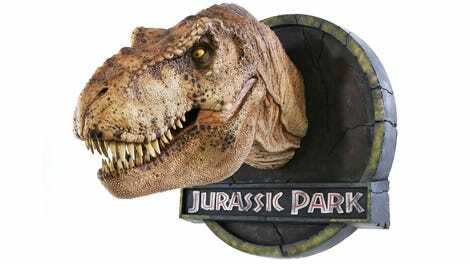 But the diversity of early-Cretaceous dinosaurs represented in this ancient stomping ground is equally astonishing. 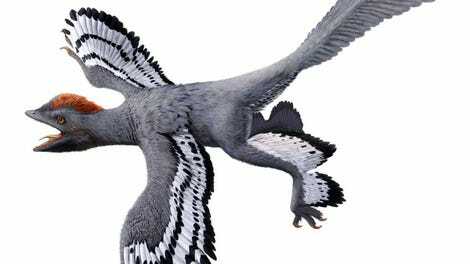 Salisbury and his team’s findings were published online in the Society of Vertebrate Paleontology on March 24. Salisbury and his team spent roughly 400 hours over five years in this stretch of land, known as Walmadany, painstakingly documenting dinosaur tracks, which number in the thousands. In addition to finding a freakishly large footprint, the team discovered five different types of predatory dinosaur tracks, six types of tracks from armored dinosaurs, and the first evidence of stegosaurs ever found in Australia. The team estimates that the tracks to be 115 to 90-million-years-old. “It’s such a magical place—Australia’s own Jurassic Park, in a spectacular wilderness setting,” Salisbury said in a statement.